Every citizen in your community deserves equitable access to your digital content. 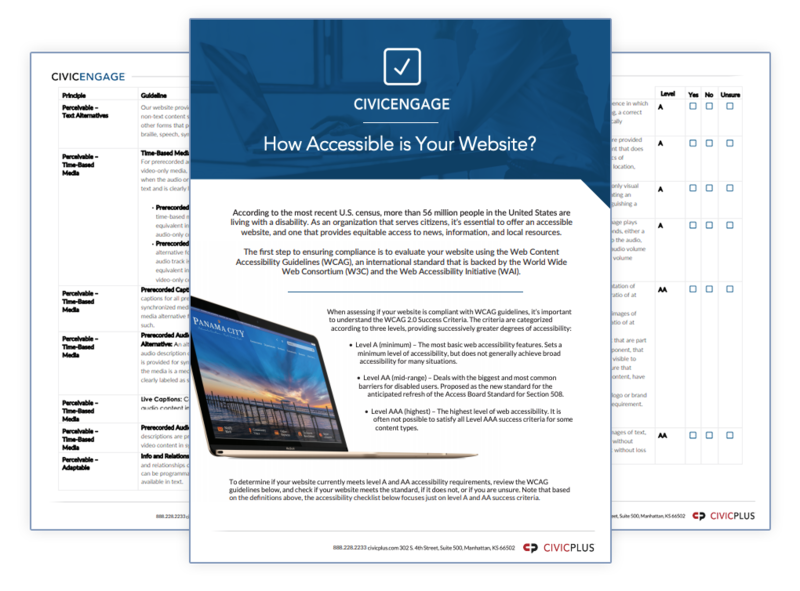 Web accessibility standards ensure content can be easily accessed by all citizens, which is why as an industry leader in local government web development, every CivicEngage® website is built using the highest accessibility standards. We ensure your website is launched in compliance with requirements established by the Americans with Disabilities Act (ADA), Section 508l, and using the highest code-based content standards as required by WCAG 2.0 A and AA. To ensure local governments maintain a compliant website without adding additional, manual steps each time content is updated, CivicPlus offers clients the ability to benefit from integrated, automated accessibility and compliance software. We suggest our clients train content creators regarding best practices. To support these efforts, CivicPlus® offers training in our webinar. Effective March 21, 2017, the latest updates to Section 508 of the Rehabilitation Act of 1973 went into effect. These latest requirements are impacting how local government websites provide content, and should be understood when planning a website redesign, as all public sector websites will be required to comply with the new standards by January 18, 2018. 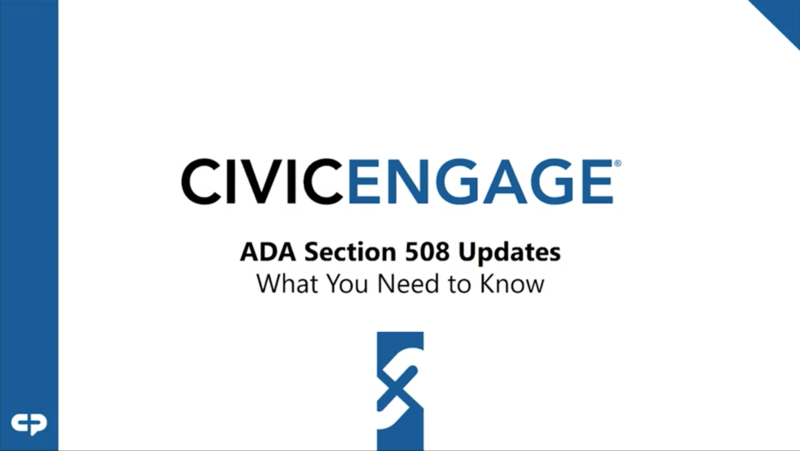 For more information on the latest updates to Section 508, view a recording of our recent webinar. The latest accessibility compliance requirements include several voluntary consensus standards, including WCAG 2.0, a globally recognized, technology-neutral standard for web content. CivicPlus has been voluntarily following WCAG A and AA standards when designing municipal websites for years. Now that WCAG is required, our designers and content manager are well-positioned to continue helping local governments design websites that can be accurately interpreted by assistive technology. Learn more about how CivicEngage can meet your website & hosting needs. We look forward to speaking with you. Complete this form and one of our experts will contact you.